We are releasing a small update to the study filters. From today, you are able to find interesting research happening nearby. Online studies only - these are studies that you can take part in online from the comfort of your home. Physical studies only - these are studies that require you to meet with the scientist conducting the study. 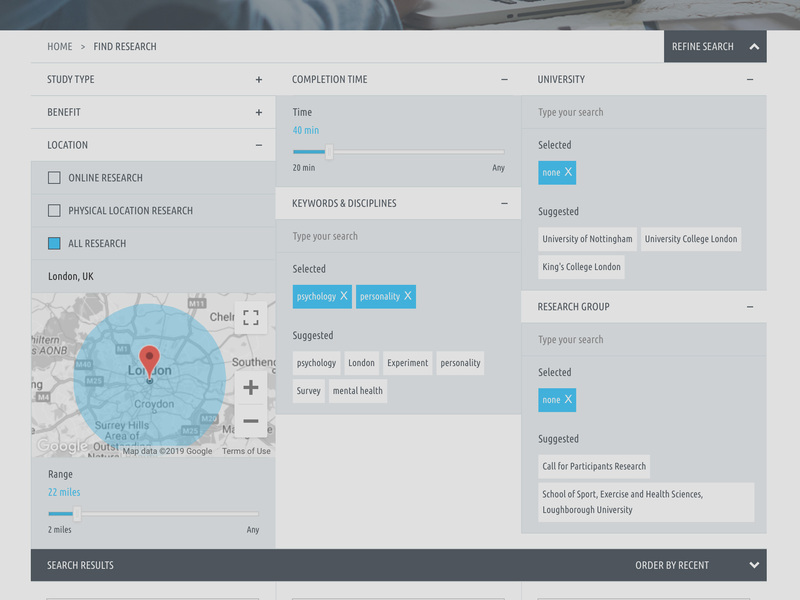 You can find physical location studies by entering a place into the location search field. This works like Google Maps and finds most locations in the world. Next, use the distance slider to limit the perimeter within which from your entered location the study needs to be. And voila - the study listings area is updated.